How to Plan an Exclusive Event on a Yacht in Dubai? Regardless of the nature of an event, a luxury yacht can always add class to your occasions and celebrations. It does not matter if it is a personal, social or a corporate one, a luxury yacht is enough to make it glamorous and happening. As the superyacht industry continues to expand - luxurious, spectacular and memorable events are in demand. But of course, many things count when you are arranging an event and that also, on such a happening venue. Considering the amount of assistance one can get in event management, it may seem easy to execute a successful evening to highlight something special but in reality, it is an extremely difficult task. That is why it is necessary to hire some good services from yachting industry. The good thing about Gulf is that it has a flourished yachting industry which allows it to offer some fine services and budget friendly packages as well. So what needs to be done when one intends to arrange a successful yacht event? Following are some good tips to host a spectacular yacht event. Because nothing can make your event more glamorous and exclusive than a unique, stylish and grand venue. The boring resorts and congested halls are outdated now. 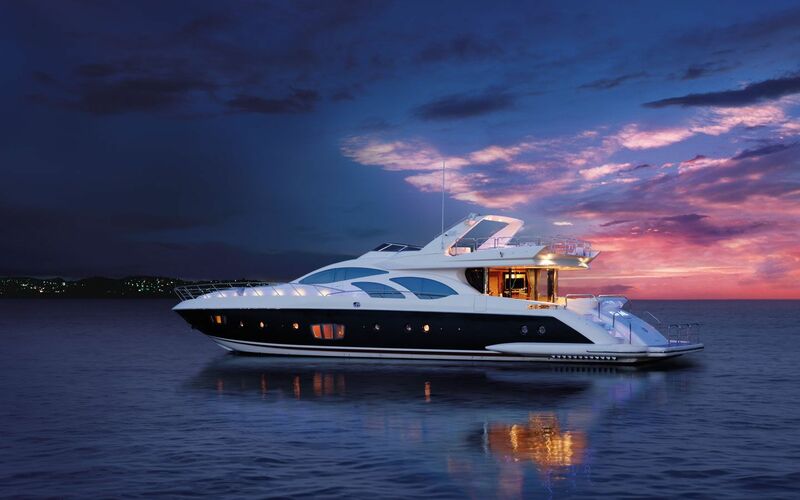 So you better get aboard on a luxury yacht to let the oceanic pleasure do its magic. The best thing about yacht events is that they are budget friendly! While availing luxury Yacht Rental services in Dubai, you won't have to spend separately for the quality staff and crew as well. Why Dubai as the Destination? Dubai is indeed the most favorite destination for yacht events because of its incredible reputation for high class socializing and efficient yacht rental industry. When you are planning an event on a yacht, keep that in mind that you will have a limited capacity to accommodate your guest. So choose your yacht wisely. The nature of your event should be the major factor to consider while making a decision about choosing a yacht. There are some very luxurious and beautifully designed yachts with having different capacity for people to board on. Make sure you plan and follow a strict schedule for everything. There are specific durations of every yacht voyage. Make your reservations according to the time of your event. Estimate how many hours you will be in the sea onboard as you will have to have enough supply of resources such as food and other things. Another thing which you would have to take care of is the arrival of your guests. Make sure they get on board on time. High-quality Entertainment is a Must! If you won't offer your guest some good means of entertainment, then your event can never be an exclusive one. Make sure you have lined up some fun activities for your guest. Don't leave this to chance. Space is limited; so you will need to know exactly where everything is to go and how the event will flow, well in advance. And remember Even the best entertainment can disappoint if it is not used in the right context. Choose music and entertainment appropriate for the event. The mediums of entertainment may vary with the nature of event so make sure you arrange something which suits the mood and vibe of the environment.